Bertha was surrendered to a local animal shelter after her owner passed away. 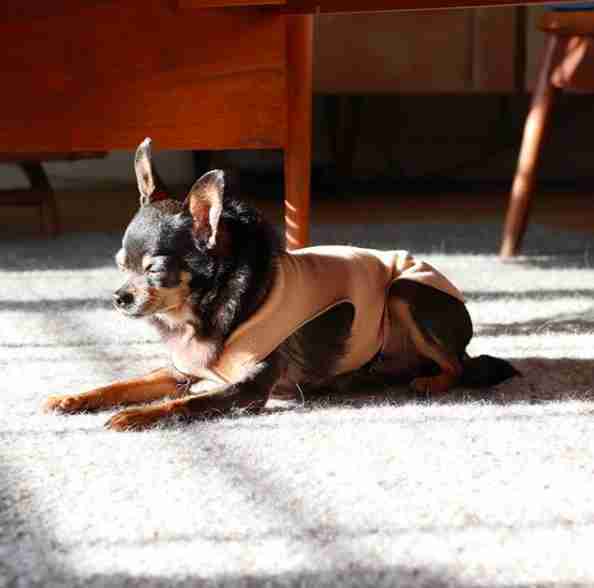 The 9-year-old Chihuahua suffered from a pretty severe seizure disorder, and also weighed 12 pounds — nearly two and a half times what she should have weighed. 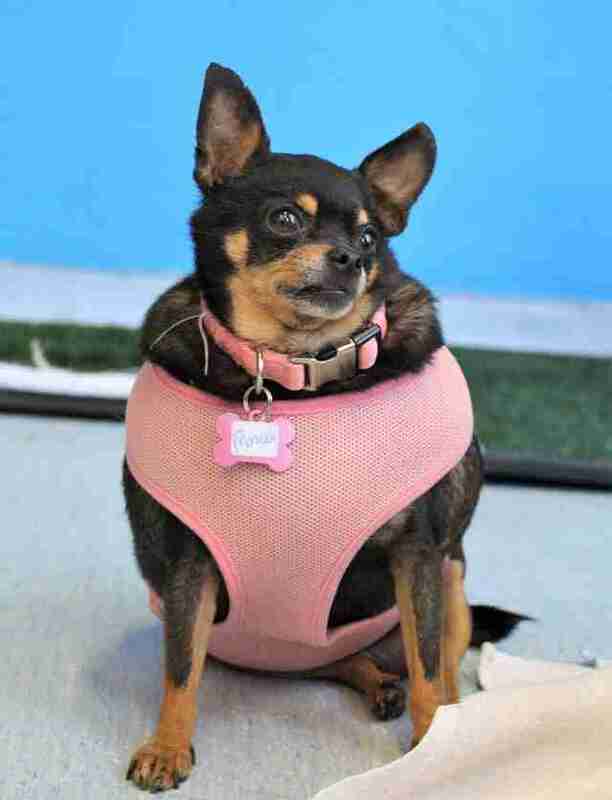 The shelter staff knew they couldn’t give Bertha the care she needed, so she was taken in by Muttville Senior Dog Rescue, which vowed to help the tiny, chubby dog get healthy again. As soon as Bertha was settled into the rescue, staffers set about trying to help her lose weight, but they knew it wasn’t going to be easy at first. 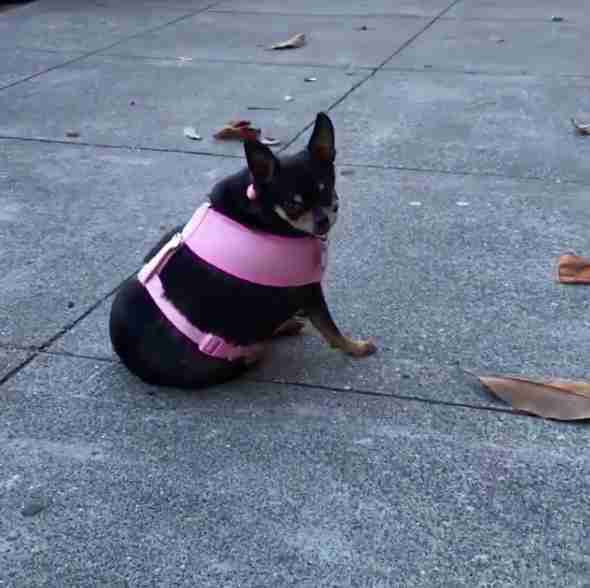 Poor Bertha was so round that going on walks was very difficult, and she needed to take constant breaks. 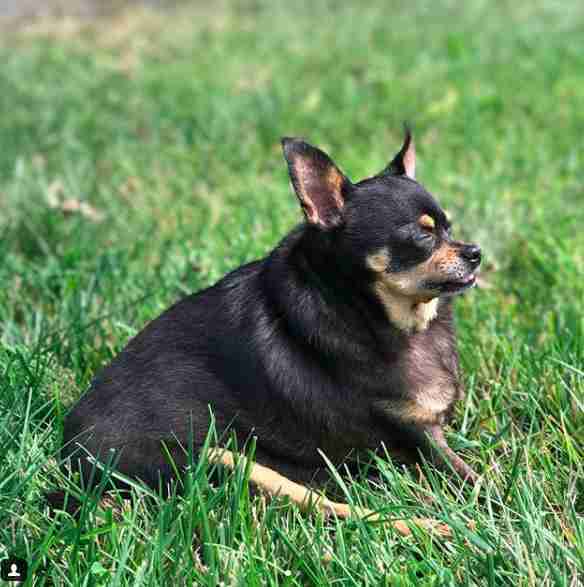 The rescue posted about Bertha on its Instagram account multiple times, hoping to find her a family who would be willing to help her on her weight loss journey — and before long, the perfect person noticed her. 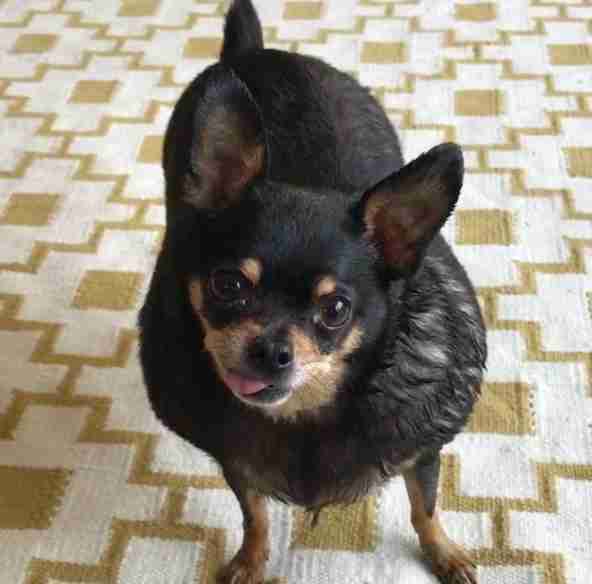 Allison Hackett saw Muttville’s posts about Bertha and quickly fell in love with her. She empathized with Bertha and her weight loss journey, as Hackett had fostered overweight dogs before and helped them reach their goal weights. After following Bertha’s journey for a little while, she eventually realized that Bertha was meant to be a member of her family. In late August, Hackett officially adopted Bertha into her family. 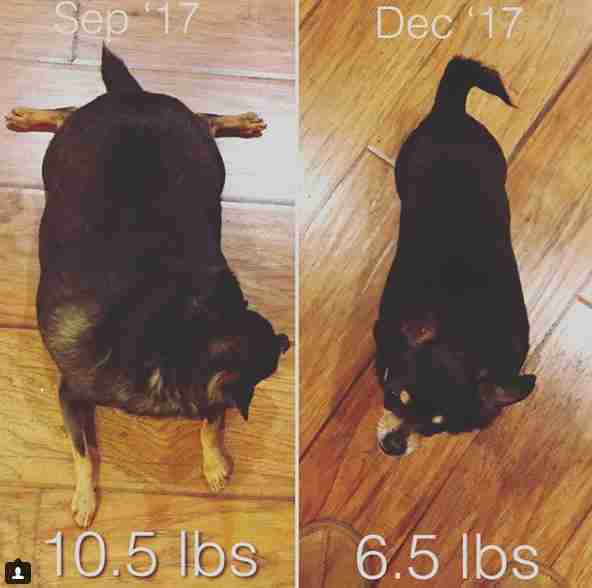 By that point, Bertha had already lost a pound, but she still had a long way to go — at 10.6 pounds, her goal weight was around 5 pounds. Hackett wasn’t intimidated, though, and knew exactly what to do to help Bertha slim down and become a much healthier dog. 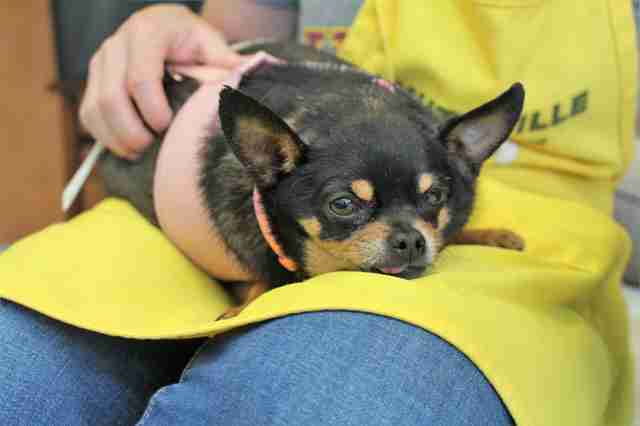 As of January 9, Bertha weighed 5.9 pounds — and her vet declared that she’s now officially at a healthy weight. The little dog now looks SO different from when she first arrived at the rescue months ago, and her personality is completely different too. Bertha is coming out of her shell more and more every day, and discovering how wonderful life is now that she’s healthy and fit. She’s the sweetest dog around and loves meeting new people, and even has a cat sibling named Birdie, whom she loves to hang out with. She can now go on long walks without taking so many breaks, and has such a zest for life — and it’s all thanks to her rescuers and her new family, who refused to give up on helping her become the awesome dog they knew she could be. You can follow Bertha and all her adventures on her Instagram account.